Yoohoo! It’s a #TravelIST Anniversary. And you’re invited! Tonight is special for #TravelIST. We turn one. And we’re celebrating with a whole bunch of special treats. Last year this time, my Twitter friend Ankita Mahabir (@Living_Escaping) and I hatched a plan for a chat. 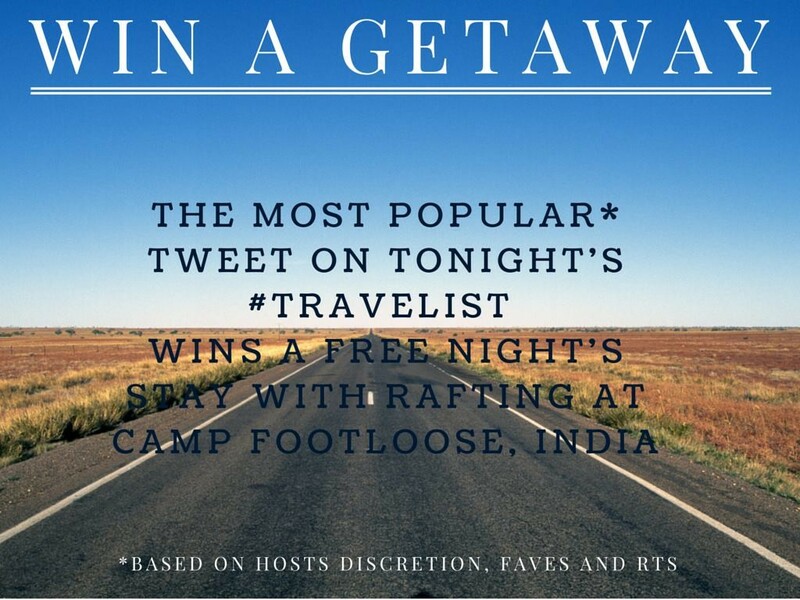 For travellers and travel enthusiasts whom we’d met on Tweetchats like #TTOT #TRLT and #RATW. We loved (and still love) those chats but for one problem – the timing. Some happened in the middle of the day when we were at work, and others when we were sleep-deprived and catatonic. How about a chat, we wagered, that was more amenable to our time zone? When we could enjoy a quick dinner and settle down with a hot drink (or a chilled one)? We needed a tweetchat in Indian Standard Time. In IST. Ergo, #TravelIST. Thursday nights, 8:30 pm IST, were never going to be the same. That was January 16, 2014. We’ve come full circle. Along the way, we’ve had the pleasure of being guest-hosted by a number of people (shout-outs go to @mansipal, @richa_singh, @deejTHTraveller, @Miss_nautanki and @NomadicThunker). And we added a new co-host in Nathan Anderson (@openroadb4me). Join our Facebook page for updates and just jump in and join hashtag #TravelIST on Thursdays (8:30 pm IST/3 pm GMT/11 am ET).